Greatest Nigerian Students! Especially those in Lagos state or those coming. Coppers are you alert as well. Well I got something for you. 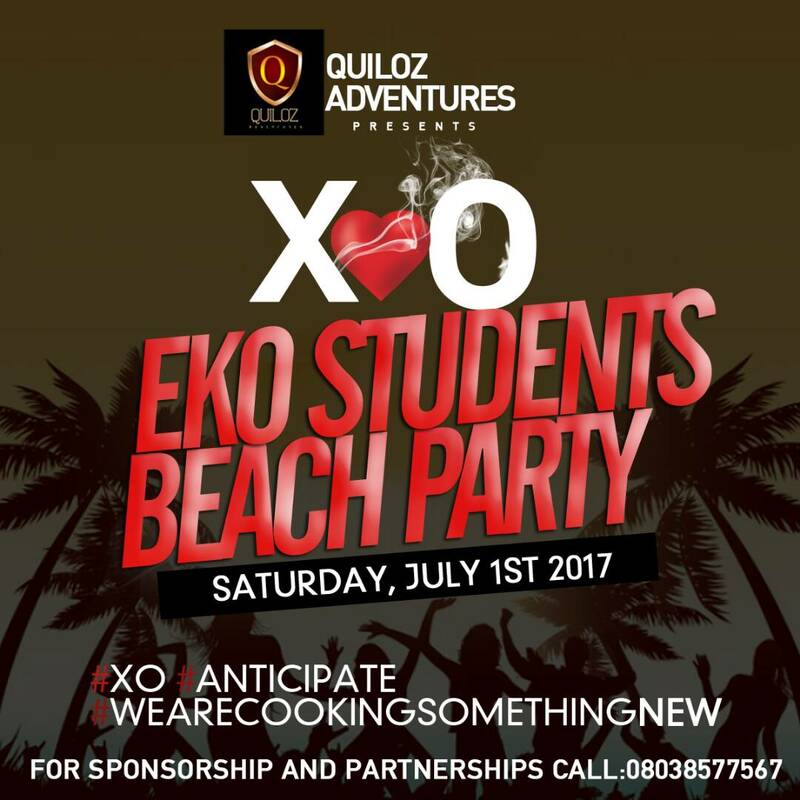 From the stables of Quiloz Adventures comes another XO💗💗 Eko Beach Party! This promises to be a very fat one 😅 . 1ST of July will never remain the same. Lots of activities around it, from Karaoke, Beach Volleyball, Soccer Beach, Drinks, Chops, Networking, lots of Freebies.... Come and Xperience the best of fun, it gonna be lit with just shikini Ticket fee. Babe and Bobor this ticket na just 3k, yes THREE THOUSAND single naira.